On the last day of August, the band Against The Current graced our shores to perform the 3rd leg of their world tour. 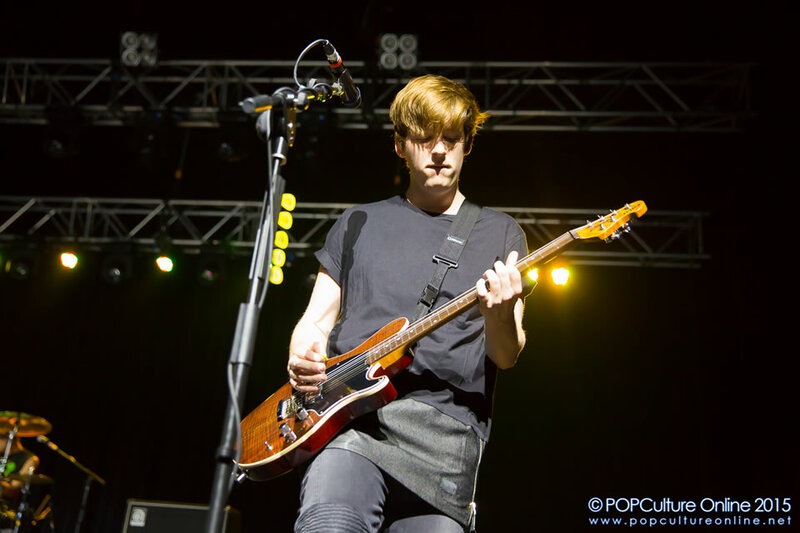 Their last visit to Singapore was a partner act with fellow Youtube artist, Alex Goot in 2014. This year, ATC is promoting their latest EP, Gravity. At *SCAPE The Ground Theatre, Felix Chew and Nicholas Kwan reports. 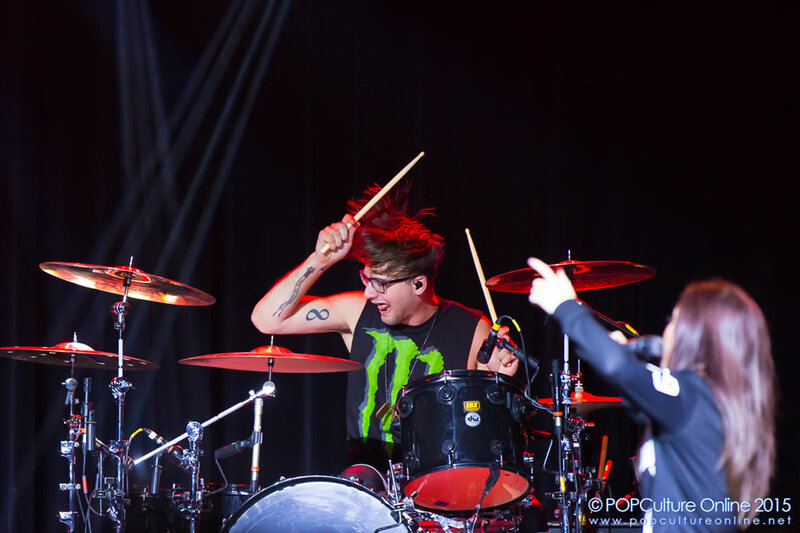 Against The Current is a 3 piece Pop Rock band formed in 2011 based in Poughkeepsie, New York. The band consists of Lead Vocalist Chrissy Costanza, Drummer Will Ferri and Guitarist Daniel Gow. Ever since their formation, ATC have been actively promoting their covers and singles via YouTube, concert tours and collaboration with various YouTube artists, transforming themselves into a sensational band with millions of fans and followers worldwide. Shortly after releasing their 2nd EP, ATC was signed to record label, Fueled by Ramen and are currently working on their first full-length album which is projected for release in early 2016. As the doors swung open at 7.30pm today, the crowd quickly rushed in to grab the best position they could get, in hopes of getting up close and personal to Against The Current. 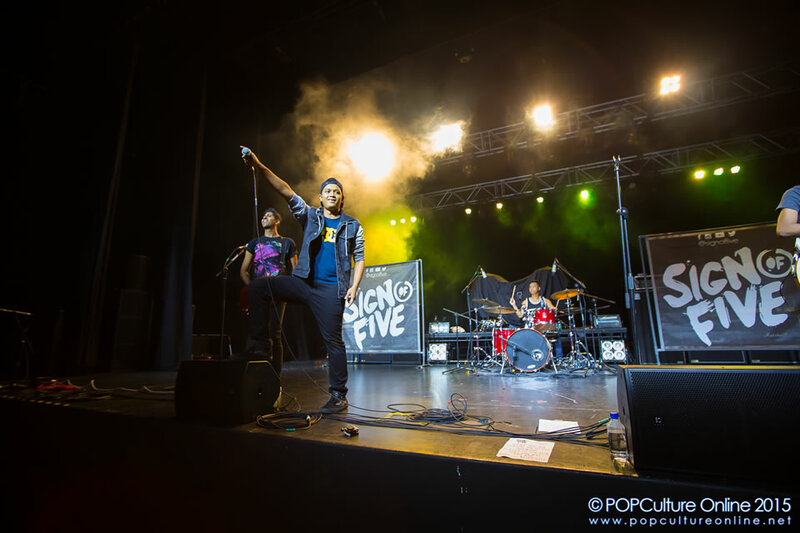 Before the main act, the crowd was greeted by Singapore’s very own local pop-punk band, Sign of Five. They got the audience warmed up with catchy songs like Bruno Mars’s “Just the way you are” and their very own original “Closer to the Sun”. ATC kick-started their World Tour in Singapore with singles from their new EP, “Talk” followed by “Paralyzed” which got the crowd all excited and jumping into the air, hyped up as they began their set. Right after Chrissy performed the third song “Infinity”, she got comfortable by removing her cap, taking off her jacket and letting down her hair before she continued her high spirited performance, bouncing around the stage and engaging the crowd with Will going wild on the drums and Dan jamming his guitar to the cheers of the crowd. The songs that followed were “Closer & Faster” and “Thinking” from their previous EP, before Will decided to throw his drumsticks out to the crowd with the help of Dan. ATC performed only 1 cover this time round, and “Since you been gone” by Kelly Clarkson was the song of choice. Despite not having Taka of One Ok Rock to perform the duet “Dreaming Alone”, Chrissy got the audience to sing along with her. Following the duet, the fans were treated to a preview of their new album with an unreleased single titled, “Outsiders”. ATC brought their performance to a climax with their World Tour titled song, “Gravity”, which got the crowd up on their feet and into the air as they start to jump together with band’s performance. No concert is without a crowd participation segment and with “Comeback Kid” & “Fireproof” the whole crowd got to sing along with the band. ATC performed their encore songs of the night “Brighter”, ended the gig with “Another You, Another Way”. The audience showed much enthusiasm and energy throughout the entire performance and as it came to an end, they waved and applauded the band. The overall experience of Against The Current’s concert was a memorable one owing to the energy generated by the audience and the band. With strong lighting and sound system the performance was visually beautiful and decently pleasing to the ears. Against The Current is an inspirational band, from their humble beginnings on YouTube performing covers to performing their 1st World Tour, ATC has reached a notable milestone that would not have been possible if not for their fans worldwide. 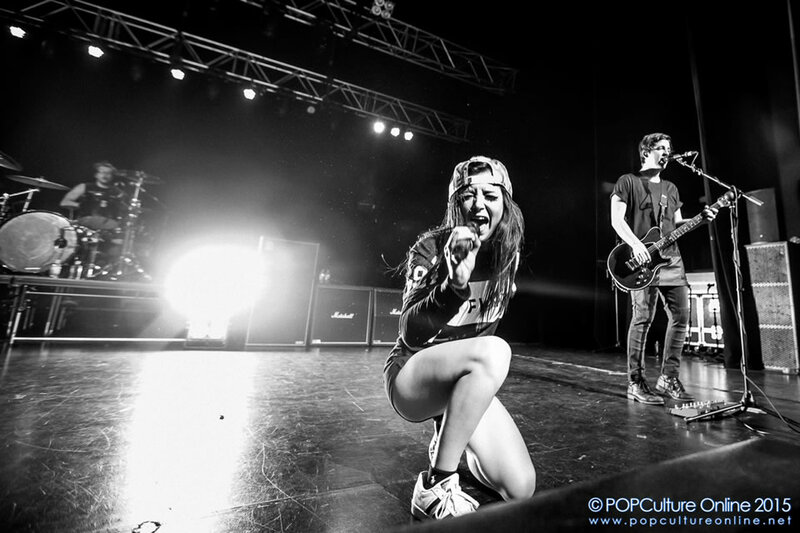 We look forward to Against The Current’s next live in Singapore again soon! Do check out our Photo Gallery from the concert over at our Facebook Page.